So what is the big deal with the nutrition of whole wheat bread? As far as calories go, refined white bread and whole wheat bread are very similar. Both breads contain approximately 70 calories per slice. The difference is what kind of calories you are getting. Whole wheat bread gives you many important nutrients. Many processed breads add vitamins to the flour, but it is best to get your nutrients from the grain itself and not artificially through the refining process. It is important to note that white bread can come from “whole wheat” and wheat bread can become as processed as white breads. The key is to make sure you are buying bread that says whole grain wheat. This article discusses the nutritional components of whole wheat bread. Unlike processed white bread, whole wheat bread contains bran, which contributes to its high fiber content. Processed white bread has undergone a refining process which strips it of fiber. White bread contains approximately .5 grams of fiber per slice, whereas whole wheat bread contains approximately two grams of fiber per slice. Fiber is beneficial for many reasons. Fiber will leave you feeling satisfied for a longer period of time. Fiber decreases low-density lipo-protein cholesterol, and contributes to a healthy heart. One slice of whole wheat bread contains just less than five grams of protein. The protein concentration varies in whole wheat breads. As a general rule, the more “hard” the wheat bread is, the more protein it contains. Processed bread contains less than two grams of protein per slice. The protein found in whole grain can contribute to the daily recommended amount, without adding saturated fat. The protein in whole wheat bread comes from wheat gluten. The carbohydrates in whole wheat bread can provide your body with the energy it needs. One slice of whole wheat bread contains approximately 30 grams of carbohydrates. The carbohydrates in whole wheat bread can actually contribute to weight loss, so don’t fear them. These carbohydrates are low on the glycemic index, so they won’t increase your blood sugar, like many simple carbohydrates. Whole wheat bread still contains the wheat germ. 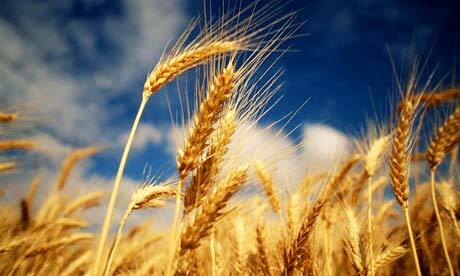 Wheat germ is a part of the seed of the grain. Wheat germ contains many nutrients like vitamin E and folate. These vitamins are important for a healthy heart. Vitamin E promotes healthy skin and hair. Wheat germ also contains essential omega 3 fatty acids. Omega 3’s protect against heart disease by lowering cholesterol and blood pressure. Omega 3 fatty acids have also shown to contribute to brain function. As you can see whole wheat bread can be an important source of nutrition and part of a balanced diet. If you prefer the sweeter taste of white bread, don’t worry. You can buy whole wheat “white” bread which is actually wheat bread that is made from an albino grain, instead of the red grain from which traditional whole wheat bread is derived. The albino wheat grain, which resembles the taste of “white” bread contains as many nutrients as the red grain wheat bread. In order to have a productive day, you need a healthy breakfast. Toast is a staple of the most important meal of the day. However, it can be difficult to know which bread offers you the most health benefits and can help you create a well-rounded, heart healthy diet. 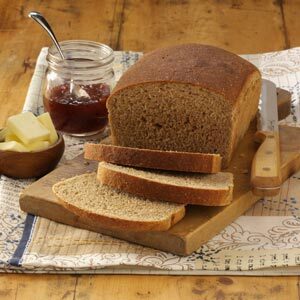 Though multigrain bread is all the rage these days, research suggests that whole wheat bread may be healthier for you. In fact, experts recommend that adults eat at least three servings of whole grain products, such whole wheat bread a day. Here are some of the ways that whole wheat bread differs from multigrain. The term “whole grain” refers to flour that is made from all parts of the wheat grain kernel–the bran, germ and endosperm. The bran and germ are the most nutritious parts of the wheat grain. They contain vitamin B1, B2, B3, E, folic acid, calcium, phosphorus, zinc, cooper, iron and dietary fiber. During the refinement process, the majority of these nutrients get lost. 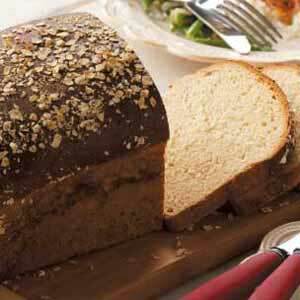 Multigrain bread is made from a variety of different types of grains, such as wheat, oat and barley. However, unless the label indicates that a product is made from whole grain, your multigrain bread may be made of refined flour and missing the key nutrients found in the bran and germ. Eating a diet full of whole grains can reduce your risk for diabetes and heart disease. It takes the body longer to absorb whole grain products like whole wheat bread. The slower absorption rate prevents sharp rises in sugar and insulin levels. If multigrain bread is not whole grain, it gets absorbed by the body at a quicker rate and could spike insulin levels. Dietary fiber is a crucial part of any weight loss regime. Soluble fiber slows down the digestive process, allowing the food to spend more time in the digestive tract and increasing the amount of nutrients absorbed into the body. Fiber also creates a feeling of fullness, making you less likely to over indulge. Fiber can also reduce cholesterol levels in the blood. Whole wheat bread has a ton of dietary fiber, as the majority of the fiber is found in the germ. However, most multigrain bread is refined and does not have the fiber content of whole wheat. Your body needs sufficient fuel to get through challenging workouts. Whole wheat bread is a great source of complex carbohydrates. A few slices of wheat bread can give your body the energy it needs to get through even the most grueling exercise routines. Unless it is made with whole grain, multigrain bread is full of simple carbohydrates. These carbs take less time to process and are quickly converted into glucose. If you’re looking to lose weight and build muscle, whole wheat bread is the safest and smartest food choice. Multigrain may sound appealing. However, unless it’s made with whole grains, it has the same nutritional value as processed white bread. Consumers should choose anything that says whole grain. Read labels carefully. Something that says “made with whole grain” usually means made with very little. I look for 100% whole grain or if the first ingredient is whole wheat flour. If it says wheat flour that means it is refined flour, not whole wheat. Consumers need to be familiar with which grains are whole grain and look for those as ingredients. The Whole Grain Council also has a stamp that they put on whole grain products, so people can look for that whole grain stamp on the packages of whole grain products. So there you have it – this information should make us all better-informed whole wheat/whole grain shoppers. Posted on August 10, 2012, in Healthy Fab and tagged curly girl fitness, health, healthy-living, multi grain bread, nutrition, whole wheat bread. Bookmark the permalink. 3 Comments.